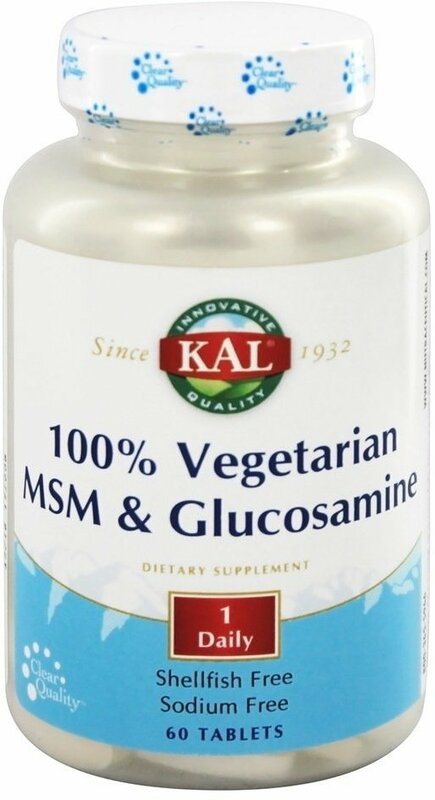 Description KAL 100% Vegetarian MSM & Glucosamine provides MSM, a source of organic sulfur, that is intended to provide nutrative support for healthy joint function and is critical to the production of connective tissue and cartilage. Organic sulfur works in many pathways in the body and is also important for proper bone, gastrointestinal, respiratory and metabolic functions. Glucosamine is intended to provide nutritive support for connective tissue by helping to keep collagen supple and healthy in the joints. This revolutionary shellfish-free Glucosamine is manufactured through a fungal fermentation process. Directions Take 1 tablet up to twice daily.